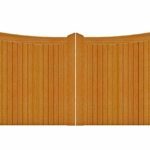 All measurements and prices for our wooden driveway gates are for single leaves only. If you require a pair please specify size and quantity eg. for a 12ft opening between posts order 2no 6ft leaves. All items are sold without posts, accessories or fixings. Please visit “Related Products” or relevant website sections to select posts and fittings. 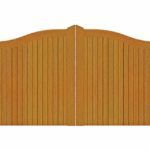 We have a number of different designs of wooden driveway gates for sale in both hardwood and softwood options. When choosing from our wooden driveway gates we would advise you should decide on the height of gate you want first. A number of our driveway gates come in 6ft heights only. These gates, such as the Manor, Lincoln and Norfolk, are ideal if privacy is your main goal. The taller gates will require a set of driveway gate posts and more substantial gate furniture to support their weight. 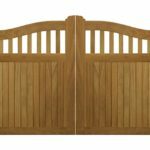 If privacy is not the number one concern and you want to prevent access with a decorative wooden gate then our Hilton, Mells, Mendip, Hampton and Cameo gates may be better suited. These start from a 3ft 6 inch height and weigh considerably less than the full 6ft high gates, so gate posts and fittings can be cheaper on the overall cost. All our driveway gates are sold as individual leafs. Sizes start from 3ft and rise to 6ft wide. The majority come in widths of 3ft, 5ft and 6ft however the more popular styles have more size options. When ordering remember you may need two leaves to close the whole gap. Some of the smaller leaves can be used as path or yard gates if you are looking for a more decorative option. The Hilton, Mendip, Hampton and Cameo are ideal for use as path gates. 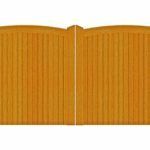 We offer the two timber types on our gates depending on the levels of durability you require. 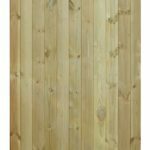 Our softwood options are either untreated to allow for the application of varnish, gloss paints or stains, or tanalised for long life, which is over paintable if required. Our hardwood options are generally constructed from iroko, otherwise known as African Teak, to guarantee long life and in service durability. These gates turn from a yellow to richer dark brown over time. Unlike other hardwoods, gates constructed from iroko do not need varnish or oiling so are maintenance free. 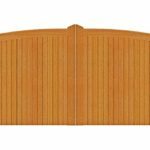 Our wooden driveway gates are made to order by skilled joiners and because of the decorative nature of many of the models can take some time to construct. Please allow 3-4 weeks for delivery.